This is the exclusive cartoon only available at FastCafe.com, Adventures of Captain Kimo. ← NewerPRE-ORDER HERE: Adventures of Captain Kimo T-Shirts & Hoodies! 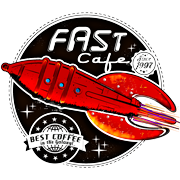 Older →The Re-launch of FastCafe, in a fresh new spaceship!